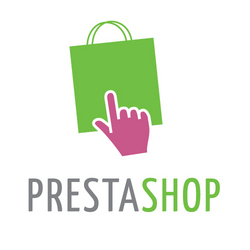 We love building PrestaShop ecommerce systems for our customers’ online retail businesses! One part of this process is the installation and configuration of the PrestaShop software on your server. Aligned with this is the configuration of your domain, emails and other server settings. Sproutee can be your single point of contact throughout this process and we’ll happily manage all aspects of installation and configuration to your specifications. Moreover, we always deliver two PrestaShop installations to our ecommerce customers; a Sandbox environment and a Production environment. Here we explain the main steps you can take to ensure that you end up with a reliable and professionally installed and configured online shop; this is how we do it! In turn, each one of these steps has a variety of tasks associated with it and we outline some of the main ones below. Where you do not have a domain for your business, we undertake to register the domain/domains for use with your online business. The nameservers for your new or existing must be configured to ‘point’ to the correct host. We also ensure that your domains are configured in a search optimal way by setting up a www resolve in the server’s .htaccess file. We’ll be delighted to set up all your hosting. We understand the resource needs and access levels required for different types of projects and organise the best quality, most cost-effective hosting for your online business’s needs. For an ecommerce system, an SSL certificate is required which will allow user’s personal and payment details to be handled on a secure connection; SSL is dependant on a dedicated IP address. We can arrange to have these resources associated with a your hosting. Once you’ve got a domain and hosting for that domain, you’ll need bespoke email addresses. This is an integral part to the professional finish to your online business and we always set up three email accounts on your server: admin@yourbusiness.com, info@yourbusiness.com, sales@yourbusiness.com. We will happily configure further addresses to suit the particular needs of your business, for instance billing@yourbusiness.com or for your employees. We also set up a Gmail account to be used with your business, for instance to set up a Google Analytics account. You may wish to use this or another Gmail account to manage your business email or you may wish to handle your email through a desktop mail client. Either way, we will supply you with the information you will need to send and receive from your new email addresses. Your Sandbox and Production installations represent two fully distinct PrestaShop builds; we deliver you two shops for the price of one! Drawing on our experience as web application developers in the City, we follow best industry practices and create two environments for you; Sandbox for testing and Production for live selling. This way all changes to your shop from updates to your catalogue to re-skinning your template may be tested and confirmed before being pushed live to Production. This helps to ensure that maintenance work and enhancements to your shop do not adversely effect your customers’ experiences and can also minimise any downtime associated with changes to your online store. Each of your installations will require its own database and well create two databases on your server and database users for each of those database instances. Our mission is to create a robust, reliable and professional online portal for your retail business. We endeavour to take a methodical and systematic approach to installing and configuring your PrestaShop ecommerce system and we hope this guide gives you a useful starting point for getting a ‘big picture’ understanding of PrestaShop installation and server configuration. So, if you’ve got a retail concern that you want to take online, get in touch and let’s get building!